← Power Rangers Trailer Drops! So, we have collected all of your votes and sorted through them to find out who you, the Heromachine Community, think is the greatest character in the history of the Star Wars franchise. And the results are quite surprising. People you won't see on this list include Princess Leia, C-3PO, The Emperor or Kylo Ren. Even Yoda didn't make the top 10. So without further ado, let's jump in and see who you guys voted as the greatest character in Star Wars. 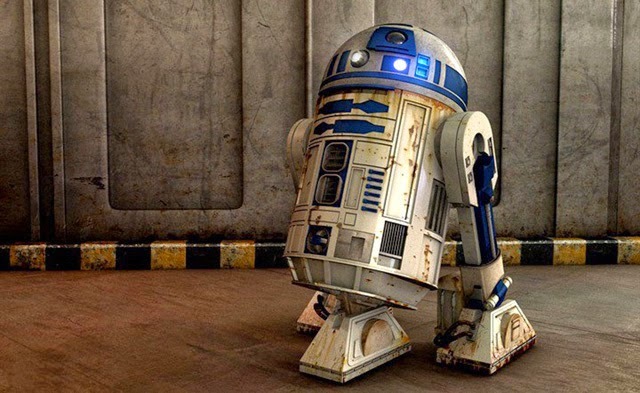 For a character that doesn't have a single line of dialogue, despite being in all 7 movies, TV shows and specials, R2 has become probably the most endearing character in the franchise. His design is iconic (so much so that he can often be seen as a mailbox cosplay around Halloween and he's even been on stamps), his signature whistles and chirps are instantly recognisable and he's the most useful thing in a galaxy that contains laser swords, space ships, jet packs and cities that float in the clouds. He's crucial to the plot of the fourth (first?) film, being able to smuggle data securely to the Rebel Alliance. He can repair a spaceship, hotwire a door, scramble a computer system, serve drinks on a party barge, even fight of battle droids with a combination of his own oil and jet boosters. Now that's a toy I want. Darth Maul was only in 3 scenes in Phantom Menace (4 if you count his appearance as a hologram), yet he is higher on this list than some of the most important characters in the film franchise. Why? Well, he made an impact. His look was unique, he used a double ended lightsabre, which was freaking awesome, and he fought in a way that no-one had done in Star Wars previously. He even survived being chopped in half to turn up in the Clone Wars cartoon series. Shame he wasn't utilised more in the films, but sometimes less is more. Obviously, you lot didn't get the memo, you're meant to let the Wookie win. Fortunately there aren't any droids placed higher than him, because they'd get their arms pulled out of their sockets. Anyway, yet another character that has become iconic and endearing despite not having a single line of dialogue, Chewbacca adds so much to the franchise (and to a character we'll get to later) without needing so say anything other than modulated yells. Would the carbonite scene be as impactful if it wasn't for Chewies anguished yelps? The events upon the Star Killer base? And how about the (unfortunately now non-canon, thank you Disney) expanded universe novel Vector Prime, where Chewie sacrifices his life to save Anakin Solo. That got more of a reaction from me than any of the deaths in the films. Not bad for a character based on George Lucas' dog. Basically, the original version of Darth Maul in that he is beloved by the fans a disproportionate amount to what he actually contributes to the films. But Boba Fett is just cool. His mannerisms, the way he carries himself, you know this guy is the deadliest guy in the room, even when that room contains a Rancor or a Sith Lord. Yes, his "death" is lame (and we can't guarantee that his survival is canon now, thank you Disney) and they should have left him out of Attack Of The Clones completely, but damn, if anyone did alright out of the myriad of extra material published before this new trilogy, it was Boba Fett. Have you seen how badass this guy is in the comics? Now we come to the new blood and, to be honest, I'm surprised that any of the new characters made the Top 10. Not because they're bad characters (they aren't), but because the Originals have that huge nostalgia factor that always gets votes. But Finn beat Boba Fett and Chewbacca *shrugs*. Basically the gateway character into the new films, Finn is our access point to the First Order, then the Resistance and, as such, the conflict as a whole. He's a character who grows into being a hero, growing in confidence throughout the film. He's relatable, likeable and fun. He may be higher on this list in the future, depending on how the next 2 films pan out. I really wasn't expecting Rey this high at all. Personally, I don't know why she's this high. She's this trilogy's Luke, a bit bland, some orphan from a desert planet who discovers they have force powers. She's a good role model to girls I guess, that counts for something and it is nice to have another strong female lead to follow on from Leia and Padme (although Padme fell apart at the end). But, I will give this caveat, she's only been in 1 film so far. She has 2 more at least, so there is potential. Anyway, I'll let you guys enlighten me on this choice in the comments. Moving on. I had a feeling Luke wouldn't make the top 3, despite being the main character of the Originals. But either way, Luke is THE HERO of the series. Yes he gets upstaged by his best mate, snogs his sister and is practically irrelevant to the downfall of the Empire, but he's the guy who got the lightsabre. He had the best battles in the Original trilogy and he got to be one half of the greatest reveal in cinema history. And he got stuffed inside a Taun Taun, but that's beside the point. He is our gateway to that galaxy far far away and we get to see him grow from that simple farm boy staring at the twin suns longing for escape and adventure to a Jedi Master, a leader in the Rebel Alliance and the man who faced Darth Vadar and The Emperor and won. Oh, and he's literally God status in the (now not canon, thank you Disney) Expanded Universe. So, Obi-Wan. In a trilogy that can best be described as divisive, he is the one thing most people will agree on. We see him go from Padawan to Jedi Master and we see and are introduced to more of the events through his eyes than anyone else. His character grounds the films, he is calm when he needs to be, sarcastic when the situation calls for it and he is the emotional core of the third film, the film that needed the most emotion (which is kinda disappointing in a way considering that Anakin and Padme should have been the emotional core). A far more effective hero for the Prequels than Anakin, by a long shot. I'm sure a lot of people were expecting him to be first. Sorry, he ain't. But he only lost by a point. Anyway, I think it's best to leave describing Han Solo to Princess Leia. He is, and I quote, a "stuck up, half-witted, scruffy-looking nerf herder", a "scoundrel" and a delusional "laser-brain". And people love him for it. He's also charming, irreverent, funny and heroic. He has the best ship in the franchise, the coolest best friend/ co-pilot and he shot first. Oh and he's the one who gets the girl in the end. I mean, that picture says it all really doesn't it? Cue Imperial March. Dun Dun Dun, Dun Da Dun, Dun Da Dun. Spoiler alert, he is Luke's father and it is still the greatest movie reveal of all time. If we are talking iconic characters, I struggle to think of a villain in pop-culture, not just movies but in general, who is as iconic as Darth Vader. The Joker might be the only one who gets close. When you think Star Wars, likelihood is that this mask and helmet is one of the first things that pops into your head. His look is possibly the very definition of the word iconic. Everyone else in the Empire wears white, so he wears black. Both the other guys have blue lightsabres, so he has a red one. And then there's the sounds they associate with him. His sound design is amazing. The breathing has become a part of social consciousness, everyone recognises it. And he has the best theme tune of anyone ever. Imagine that every time you walk into a room the Imperial March plays, you'd feel epic. He defines the franchise. He dominated the Originals so much they had to make the Prequels to give him a backstory and he is still a presence in the Sequels too, despite having died. His character goes from "that guy who works for the Empire but you're never quite sure what his motives are", to "Oh my God, he's Luke's Father" to finally redeeming himself and throwing the Emperor down a very long pipeline. Sure, Lucas might have pulled his defining moment out of his backside at the last minute, but it made the franchise what it is today. And when you combine all those factors, the look, the sound, the mystique, the presence and the reveal, you see why Darth Vader is the Greatest Star Wars character. 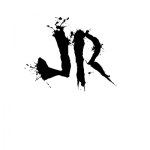 Oh, and in case anyone can't tell, he's my favourite character in the franchise. Not that that fact had anything to do with the result because it's how you guys voted. This entry was posted in Fantasy & Sci-fi, Lists, Movies and TV. Bookmark the permalink. Darth VadEr, not VadAr, thank you very much! Actually, the Top 3 came out as foretold by The Force. For Obi-Wan, I would have rolled Alec Guinness and Ewan McGregor together. Sir Alec made the character iconic. Ewan reprised the role so well that there is almost seamless continuity between the films. Obi-wan embodies the waning power yet enduring spirit of the Force. Not to mention the harsh environment of Tatooine. He went from a spry Padawan to an ragged Jedi aged and bleached in the desert under twin suns. @William Peterson- Fixed. Also, you need to add a caveat of “in my opinion” to you second statement because it’s a public vote, the only person who “should” win is the person who gets the most votes, which wasn’t Han in this case. Another thing, how many accounts do you have exactly? Just curious as to why you keep switching usernames. I can’t help but remember Malaliki (sp?) the animal keeper for Jabba. Not a real favorite, by any means, but someone I identify with–knowing the monstrous dead thing won’t be needing his cuddle anymore, and tearing up a bit over it . . .